I remember the feeling well. It was one of those moments that somehow encapsulated itself in my mind, forever to remain, taking the place of other moments and things that would be certainly more useful to remember (including but not limited to: the vocabulary words I needed to memorize in 8th grade and nearly everything I have ever learned in any science class, period). I can refer back to the moment it happened in painstakingly fine detail. I think every runner can recall the first time they realized they are, in fact, vulnerable. Injuries happen. And injuries happen to runners A LOT. According to a study in 2007, 33-56% of runners get injured EACH. YEAR. The odds aren’t really in our favor, guys. But if you’re like me, when you started running you really didn’t think YOU would get injured. 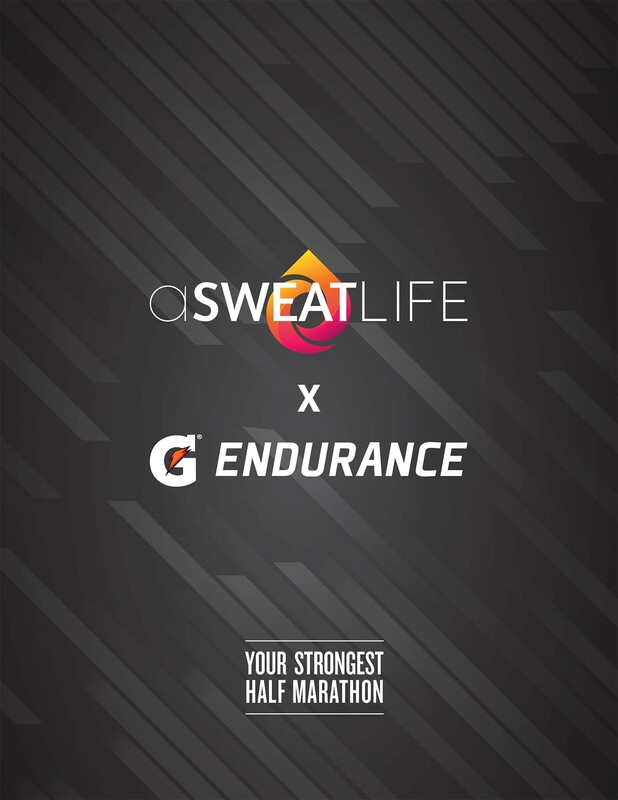 Other runners get injured. Really serious or really inexperienced runners get injured, but it surely won’t happen to me*. *(Unless it was doing something dumb like tripping and falling, but that is just a more general concern in my daily battle against gravity and lack of grace). So there I was, running along a sidewalk finishing up a quick run on a temperate day in September. And then I felt it. You know those slap bracelets? The ones you smack against your wrist and they spring into shape around it? It felt like that. It felt like someone was smacking a slap bracelet against a spot just above my left ankle. At first I didn’t think much of it, I figured that it must be in my head. And then I felt it every few steps. And then every step. And then I stopped running. I am vulnerable. I freaked out. Up until this point I have failed to mention that this chink in my armor appeared just 3 weeks shy of my very first marathon. This new feeling of susceptibility and the acknowledgement that I could be on the brink of a much larger issue was alarming. I scheduled a visit with a local doctor who was a foot specialist. A fellow running friend suggested him to me at the time. With the unnerving reality of marathon day right around the corner, I met with him immediately. “The first thing I’m going to tell you is that you shouldn’t run this marathon,” he said. My heart sank. My head spun. My wallet cried (a $175 race entry fee is pretty steep for a poor college student, not to mention the shoes and gear I JUST HAD TO HAVE). “The second thing I’m going to tell you,” he continued, “is that I know you’re not going to listen to my first thing so I’m going to tell you what you need to do to get yourself through it without completely ruining your body.” *Cue sigh of relief curiously blended with a heavy feeling of uneasiness. We talked over a couple of things. 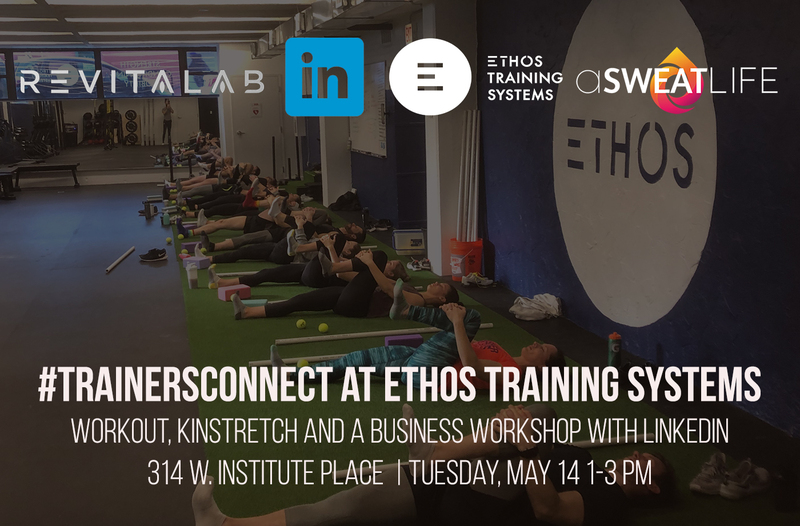 I knew I needed to stretch more (nobody’s perfect), and he walked me through a stretching routine that I would reenact religiously over the next few weeks. We talked about orthotics and their benefits and he prescribed me some weird icy hot goo to put on my leg and ankle for recovery. But we also talked about what soon after became a game changer for me: compression socks. Compression socks and sleeves are tight so they can literally compress. They compress your veins, arteries and muscles so that (in theory) blood gets back to your heart faster. Basically for the aforementioned reason; there is benefit for me to wear compression socks and sleeves post-run (sometimes I wear them to bed after a really long run) to keep blood from pooling in my feet and speed up my recovery time. If you choose to run off the beaten path and on a trail, they can help protect your legs from minor scratches. I also feel protection in a sense that everything feels tight and together. When I started wearing compression socks or sleeves on long runs, the slap bracelet feeling was completely eliminated for me. There’s a debate out there if compression socks and sleeves are worth the hype. For me, they definitely are – at the very least, they put my mind at ease when I have them on. I feel stronger, protected, and less vulnerable. I recommend them without hesitation. 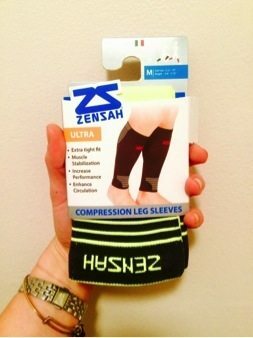 I’ve been wearing Zensah for the past two years and have flirted with other brands in the market as well. I’m a loyal fan of compression gear. 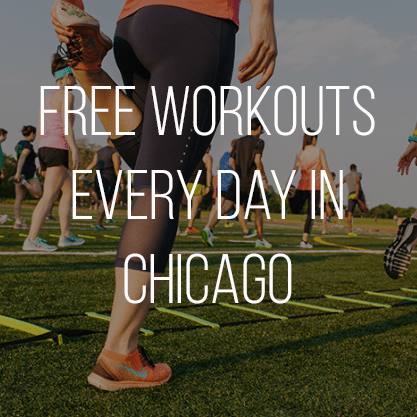 At usually $40-$50 a pop, compression socks and compression sleeves are an investment. If you’re thinking about purchasing a pair, I’d recommend going to a store to try them on. If you’re buying online, make sure you note the proper measurements of your calves and read how the brand fits. 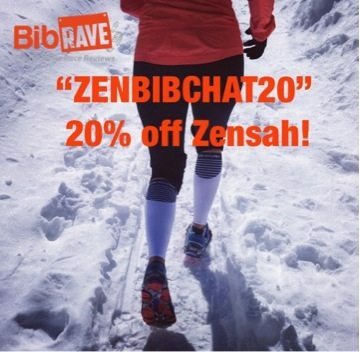 (And if you’re buying them online from Zensah, you can get 20% off with code “ZENBIBCHAT20” – valid through March 31st). I’m not going to lie, sometimes I think they look goofy. But I refuse to run into double digit miles without them, so I just have to rock the look. 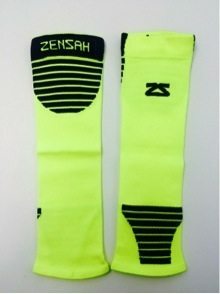 I’ve come to embrace the runner’s obsession with neon (if it isn’t neon, it shouldn’t be on) and my last two pairs of Zensah compression socks and sleeves have been bright orange and yellow. 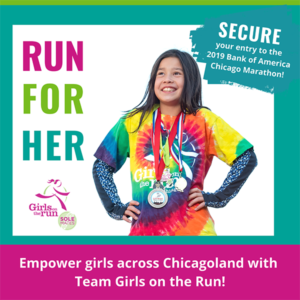 So look out Chicago lakefront path, here I come – bright and tight (and slightly less vulnerable)! Your Fitness Tracker Is Probably Wrong. So What?